Ready to use Edible Decorations! Make Super Hero Cakes without the Heroic effort!! These things are amazing!! 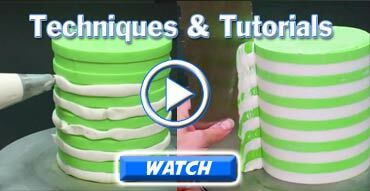 Get intricate cut patterns on cakes in seconds!!! Simply remove from package, and attach to fondant, buttercream, ganache or royal icing with a little edible glue or water. They are super flexible and ultra-thin, but can be manipulated easily. They can even be folded like paper without cracking! Thinner and less fragile than wafer paper! Seriously ENDLESS possibilities, and the ECG has only just begun to play with these!